The short answer is Peer Music. The long answer is a bit more complicated: Oliver Hood—the man who likely wrote “You Are My Sunshine,” one of the most well-known and beloved songs in the English language—never received official credit for it. Fans of Michael Lutz’s “My Father’s Long, Long Legs” will recall that its original version featured an eerie hummed rendition of “You Are My Sunshine.” At some point before publishing its reprint on sub-Q, I realized “You Are My Sunshine” might not be public domain. Sure enough, Googling yielded Peer Music as the publisher. Although well beyond sub-Q‘s means, the sum seemed reasonable for a world-famous, Grammy-winning song… until I encountered the song’s origins. Like “Happy Birthday to You”—the song whose 1935 copyright was just ruled to be invalid—”You Are My Sunshine” has a disputed history. It was first recorded in 1939 by the Pine Ridge Boys and later the Rice Brothers Gang). That same year, country music star and future Louisiana governor Jimmie Davis, along with Charles Mitchell, bought the rights for $35 from Paul Rice, who claimed to have written it. Jimmie Davis recorded the song multiple times and ran his successful gubernatorial campaigns on it. Yet many sources credit musician and prolific songwriter Oliver Hood of LaGrange, Georgia, for both the melody and lyrics of “You Are My Sunshine,” which he performed in public as early as 1933. Unfortunately, as a soft-spoken teacher, musician, cotton mill doffer, and father of eight, he was in no position to capitalize on the music publishing industry nor fight it in court. “We were familiar with the original actual author of the song and posted an article with permission that was published in the 90s by Chronicles Magazine out of Chicago. The song was written the late 1920s. Many people, most no longer alive at this time, heard it performed many times here in this town by Oliver Hood in the early 1930s. Neither he nor his family never received any compensation for the song. He did not copyright it, and copyright laws were different in those early years. 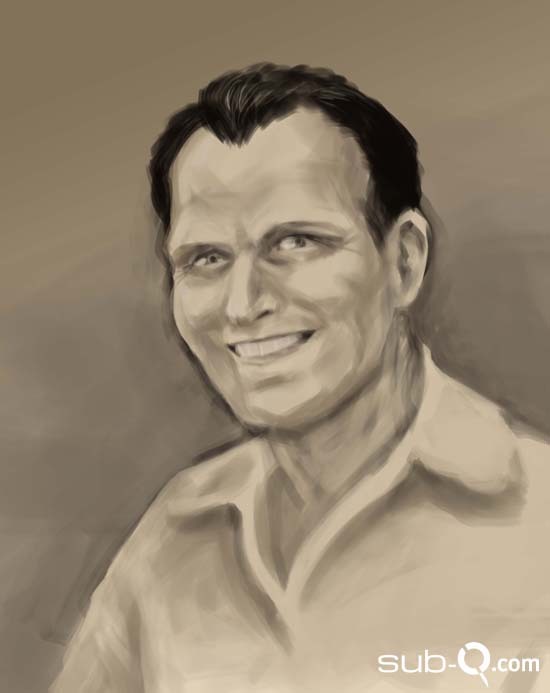 Paul Rice was a fellow musician friend of Oliver Hood and claimed authorship while selling the rights to Jimmie Davis. 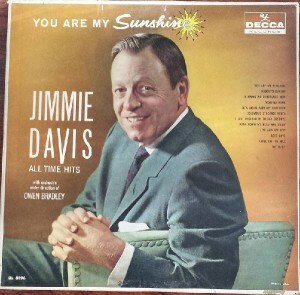 Jimmie Davis filed copyright protection, which gave him ownership of the song. I do not think any of them realized what a classic it would become. The descendants of Oliver Hood are widespread around the country. Most would be great-grandchildren and a few grandchildren. [Oliver Hood’s last surviving children, Elson Boyd Hood and Elva Mae Hood Pitts, both died in 2010.] Some descendants are still in the local area. Copyright law has evolved dramatically since Oliver Hood’s time. In 1909, copyright duration was 28 years with a 28 year renewal. 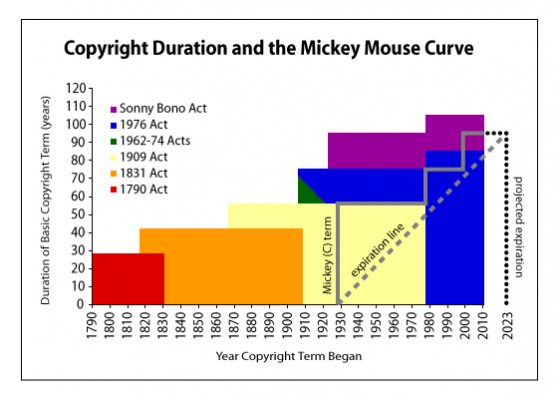 But 1928 brought “Steamboat Willie,” Mickey Mouse, and subsequently a near-century of copyright extensions. If this history of copyright extension is any indicator, it’s unlikely “You Are My Sunshine” will ever become public domain. What’s possible is that someday justice will be served to the legacy of Oliver Hood.